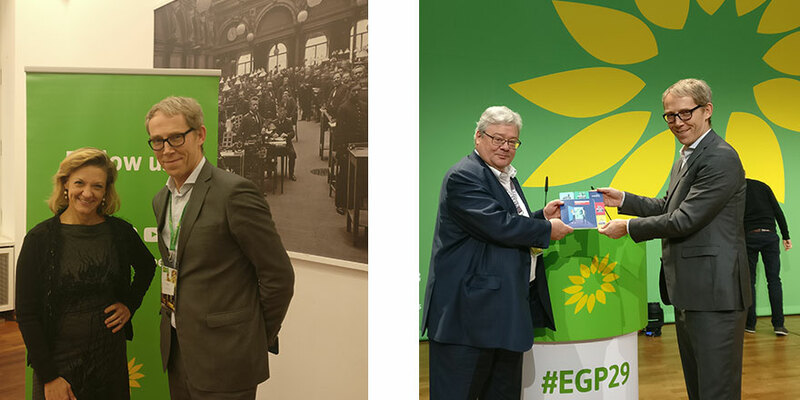 From Friday, 23 November to Saturday, 24 November 2018 AmCham EU delegates presented the Agenda for Action 2019 – 2024 to European Green Party leaders such as Reinhard Bütikofer (Co-chair) and Monica Frassoni (Co-chair). The central themes for discussion during the plenaries were the evolving nature of the party, the future role it hopes to play in politics and society and the fact that it has solutions for challenges beyond the environment. With strong panel participants and discussions, the party demonstrated that while the environment and a stronger EU underlines all of their work, they also have a coherent programme beyond this issue alone. AmCham EU was delighted to take part and is strongly committed to working with all political parties that believe in and push for a more united Europe.